Paul Ryan anti-poverty plan: The poor rarely need this kind of hand-holding. Here to help you pick out your poverty promise ring. 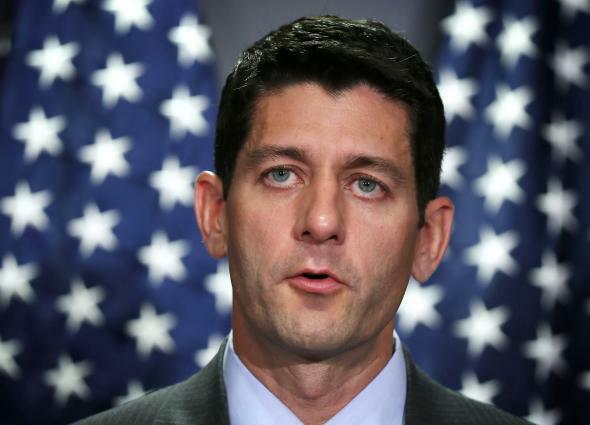 Paul Ryan, Republican action hero, finally unveiled his long-awaited anti-poverty plan yesterday. Ryan’s centerpiece proposal, which he calls “opportunity grants,” would require low-income Americans that wanted benefits to meet with case workers and craft “a customized life plan” to help them move from welfare to work. Jeff Spross of ThinkProgress referred to the idea as “church basement paternalism,” which is appropriate given that it would all but require impoverished individuals to wear a promise ring reminding them of their vow to get a job. Other liberal-leaning writers have already raised plenty of objections to Ryan’s proposal, both from a humanitarian and practical perspective. Poverty is a psychologically stressful experience that has actually been found to reduce individuals’ mental bandwidth. Threatening to take away people’s food or housing assistance if they don’t hit a contractually stipulated life goal doesn’t seem like it would help their long-term well being, and the punishment could ultimately send them reeling deeper into poverty. But here’s the fundamental issue with the plan: There’s not much evidence that the vast majority of the poor need this kind of hand-holding. As I’ve written before, for most Americans who experience it—and you’d be shocked how many do—actual poverty is a temporary detour through life. It happens, and you recover. Actual chronic poverty is relatively rare. In 2011, according to the Survey of Income and Program Participation, the annual U.S. poverty rate was 14 percent. But only 3.5 percent of Americans were chronically poor, meaning they had been impoverished for three straight years. According to research by Mark Rank of Washington University in St. Louis, 38.9 percent of Americans experience at least one year of poverty between the ages of 25 and 60; 11.6 percent experience five years or more. During those same years, 44.8 percent use a means-tested safety net program, such as food stamps, but only 16.4 take advantage of one for at least half a decade. One take-away from these numbers is that, yes, chronic poverty is real, and we need to work toward fixing it. But another is that, by and large, most people don’t need a life contract to escape poverty; the existing safety net catches them and helps them back onto their feet. To his credit, Ryan makes some of these distinctions. The animating idea of his plan is that our approach to poverty should be customized person by person. His plan even distinguishes between the sort of approach the government could take to help a woman facing “situational poverty” versus someone stuck in “generational poverty.” He clearly sees the poor as individuals, which is far better than many politicians. But in order to make custom poverty prevention a reality, he wants to tear down a system that already works fairly well for the majority and has without question diminished material deprivation in this country. Step one of his plan involves taking 11 different anti-poverty programs—including food stamps, Section 8 housing vouchers, and Temporary Assistance for Needy Families—and combining them into a single funding stream that would be block-granted to states. Then that money would be distributed through nonprofits and public agencies, with the help of caseworkers and life contracts. It’s a radical re-imagining of a massive chunk of the welfare state that entails all sorts of potential downsides. (For starters, he wants to do all this without adding spending. Would money for benefits instead go to fund an army of caseworkers? It’s unclear.) While Ryan has so far only proposed his idea as a pilot program to be deployed in a handful of states, you have to remember that we’re also experimenting with human lives. Is our approach to poverty so deeply broken that any holes in the current safety net can’t be patched? Do we really have to tear down the entire apparatus and replace it with intrusive babysitting? The numbers suggest otherwise.